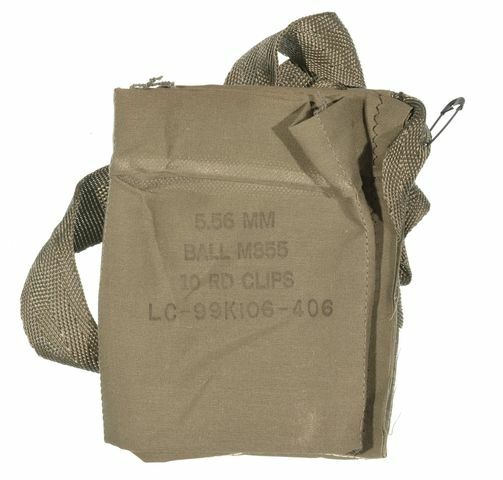 M16 BANDOLEERS, 5.56mm M855 Ball. Fits 10 round magazines. Empty with no clips or mags, Original.